Oprah Winfrey talks about how her newest role in Lee Daniels’ film, "The Butler", helped shape her understanding of the history of African-American women. She also discusses building a television network while affording opportunities to create and promote television shows in the entertainment industry. Oprah Winfrey is an unparalleled media personality, having produced and hosted the top-rated, award-winning The Oprah Winfrey Show. 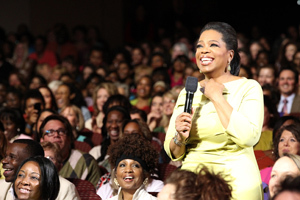 Winfrey founded Harpo Studios, a cross-platform media company and now leads OWN: Oprah Winfrey Network. Winfrey is one of the world’s most influential figures and one of the United States’ top philanthropists. Winfrey makes her return to the silver screen in 2013, with her role in The Butler, a Lee Daniels film about the African-American butler who served in the White House for six United States presidents. Winfrey will also continue to lead as CEO of her television network OWN: Oprah Winfrey Network, which launched in 2011. 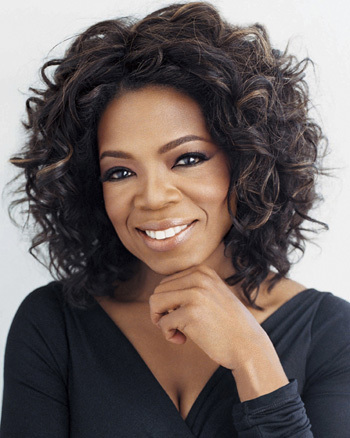 Oprah Winfrey was born in Kosciusko, Mississippi and graduated from high school in Nashville, Tennessee. She began her broadcast career at 19 as the first African-American woman and youngest anchor for Nashville’s WTVF-TV. She hosted shows in Baltimore and Chicago before launching The Oprah Winfrey Show in 1986. Harpo Studios, which produced the show, was created in 1988. The Oprah Winfrey Show went on to be the top-ranked talk show in history, remaining number one for 25 seasons. Winfrey and her program won more than 40 Daytime Emmy Awards, including seven for Outstanding Host and nine for Outstanding Talk Show. Having won many awards Winfrey and her show withdrew themselves from consideration for the award after accepting the Lifetime Achievement Award in 1998. Harpo Studios has launched several successful televisions shows, including The Dr. Oz Show, Rachel Ray, Dr. Phil, and The Nate Berkus Show. Winfrey launched O, The Oprah Magazine, in 2000. The magazine has a circulation of 2.35 million readers each month.Oprah.com features many of Winfrey’s other projects, including the magazine and television network. In June 2012, Oprah Winfrey reintroduced her popular book club as an interactive, multi-platform reading club that harnesses the power of social media, bringing passionate readers together to discuss inspiring stories. After being selected as the club’s inaugural book, Wild by Cheryl Strayed (Knopf) returned to the top of the New York Times Best Sellers list and spent six consecutive weeks at #1. The Twelve Tribes of Hattie by Ayana Mathis is the club’s second selection. Winfrey is the recipient of the Academy of Television Arts and Sciences Bob Hope Humanitarian Award, the Elie Wiesel Foundation Humanitarian Award and in 2011 The Board of Governors of the Academy of Motion Picture Arts and Sciences awarded her an honorary Academy Award with the Jean Hersholt Humanitarian Award. Winfrey began acting in 1985, when she played Sophia in The Color Purple, for which she received Academy and Golden Globe Award nominations. She also starred in Beloved, which Harpo Films, a division of Harpo, produced. Winfrey has supported the production of many movies through Harpo Films, including Tuesdays with Morrie, The Great Debaters, and Their Eyes Were Watching God. Winfrey also helped distribute Lee Daniels’ film Precious. Oprah Winfrey has given millions of dollars to support scholarships and founded the Oprah Winfrey Leadership Academy for Girls in South Africa. Winfrey started the Oprah’s Angels Network in 1998, raising more than $80 million that have gone on to support scholarships, schools, shelters, youth centers and homes around the world. Oprah’s Angels Network gave its final grants in 2010 in support of U.S. charter schools.